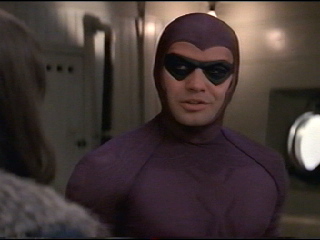 The Phantom (1996): Billy Zane did a wonderful job as the Phantom. This movie, in its entirety, is absolutely outstanding! Why it wasn't more commercially successful is anybody's guess. 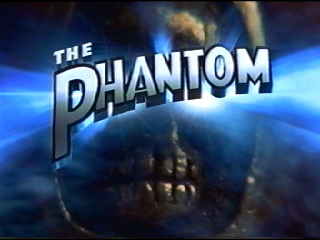 I'm thinking the biggest reason it wasn't a huge hit is the fact that not many people knew what the Phantom was about. 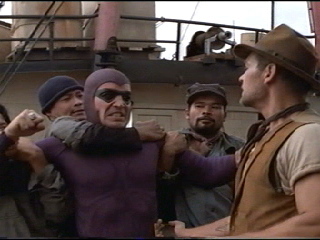 The Phantom was one of the earliest superheroes ever created going back to the 1930s. It was huge as a newspaper strip and later in comic books, but for the most part the Phantom's popularity really dried up by the 1970s. 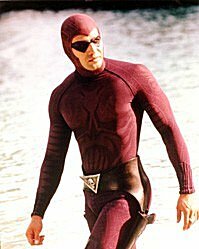 In 1996, the Phantom character certainly wasn't as popular as his colleagues Superman, Spider-Man, Batman, or the X-Men. Basically, the same thing that held this movie back from being the super-big hit it deserved to be is the same thing that worked against "The Shadow" from 1994; people not knowing who the Phantom is. The adventure is big, and ideal for the big screen! You'll see the Phantom in the jungle, in the city, and in the jungle again. Mostly outside filming. The stuntwork is incredible! Everybody in this movie gives fantastic performances. 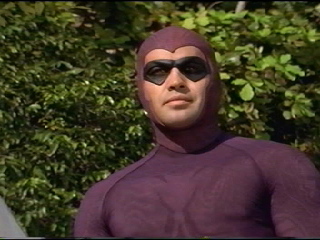 Billy Zane is a tough, but humorous hero...very convincing. Kristy Swanson is great as the snippy little adventuress and the Phantom's love interest. Catherine Zeta-Jones as the bad girl, later good girl Sala is at the top of her form. Treat Williams is the obnoxious, but in a funny way, villain Xander Drax. He's also a no-holds-barred type of bad guy. His evil is only limited by his imagination. James Remar is the dependably creepy thug, ruthless and not too bright. And Cary Hiroyuki-Tagawa is the pirate you see later in the film who is an enemy of everyone. Very harsh villain. Cary can play bad guys like this to perfection. Special effects are superb, but not overused like in some superhero films; they're tastefully done and serve the story. Everything about this movie is perfect! 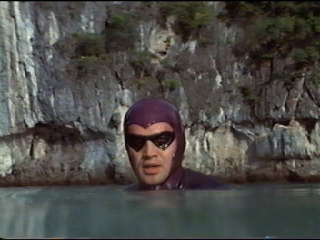 If you are truly interested in superhero movies, you've got to see "The Phantom"! THIS is my favorite shot of the whole, incredible film. It captures the Phantom's strength and mystery. And from the kid clutching onto his back, we know he's the good guy. If the people who were promoting this movie were wise, they would've incorporated this Phantom moment into the posters and other merchandising. How cool THIS would've looked on the video box! Just truly great Phantom shots! The people in charge of things promoting this film show NONE of these on the back of the box or in any of the advertising, and to me they would attract the most interest from people curious in the film. This is probably my favorite funny Phantom moment. The comissioner comes into his office with no one else there at one moment. The next moment, he sees the Phantom sitting at his desk eating a roll. It freaks out the comissioner, but Phantom does a double take at HIM and acts like "What?". 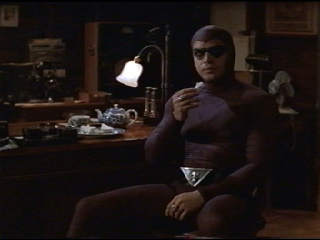 The best thing about Billy Zane as the Phantom is that he has a personality. I won't name names, because this is not a put-down site, but there are a lot of popular live-action superhero actors who have very rigid and unpersonable personas. Mr. Zane is just flat-out awesome as a hero. I wish he'd play more in films.